The National Conference leader also praised UPA chairperson Sonia Gandhi's efforts to bring opposition parties together against the BJP. 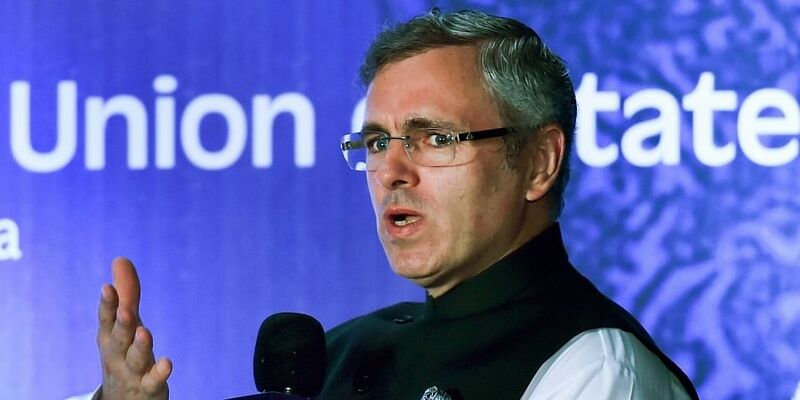 KOLKATA: National Conference (NC) leader Omar Abdullah on Saturday urged the regional parties to come together to defeat the Bharatiya Janata Party (BJP) in the forthcoming 2019 general elections. Speaking to reporters here, Abdullah said, "The question you asked about Mamata didi's proposal, is what we are discussing- how best can regional parties come together to take on BJP in general elections." He further said that no effort towards opposition unity will succeed unless Congress is able to fight the BJP. Praising United Progressive Alliance (UPA) chairperson Sonia Gandhi's efforts to bring opposition parties together against the BJP, Abdullah said, "It is an ongoing conversation. You have seen a number of efforts made particularly by Sonia Gandhi to bring opposition parties together. As we get closer to the general election in 2019, I'm sure it will take on a greater shape." Abdullah's statement came a day after he met West Bengal Chief Minister Mamata Banerjee in Howrah to discuss the prevailing situation in the country. Further taking a dig at the NDA government, Abdullah said that a strong Union is required for a strong country. "A strong Union is required for a strong country but a strong Union cannot come at the cost of the states," Abdullah said. "Today India isn't as strong as it could be as we're facing problems in numerous states such as, Maoist insurgency in parts of the country, problems in north-east or Jammu and Kashmir. States that have been weakened have held Union back from progressing the way we ought to have done," he added.